Welcome to 'Academic Insights' – part of our new 'Go The Distance' course. On these pages, we'll meet lots of different distance learning tutors and get their top tips for successful study. Topics will include: researching and writing assignments, coping with exams, and making perfect projects. 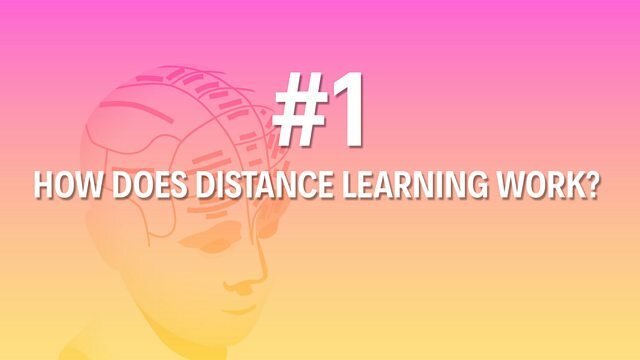 But first things first: let's get some tips on deciding whether distance learning is right for you. We went to meet Fernando Rosell-Aguilar, a distance learning tutor and materials writer. Scroll down to watch the video and hear his answers to some of the top questions that potential distance learning students ask. To help you, take a look at these definitions of some key words from Fernando's video in the Session Vocabulary box. Ever thought about doing distance learning? Fernando answers your top questions in 3 minutes. My name is Fernando Rosell-Aguilar and I am a senior lecturer. I work in distance learning, designing and organising courses for distance learning. Distance learning takes place normally in people's homes at a time that they choose when it's convenient for them. The learning comes from a number of sources: it could be websites, books, all sorts, and you digest that information at your own pace. I think anyone can be a distance learner. Some people just like an app on their mobile phone so they can learn small chunks of information. Other people want to get a qualification out of their study. Or they may want something a lot more geared up towards their professional development. There are very short courses and there are very long courses that lead to full-on university qualifications. The difference between face to face and distance learning is that in a face to face situation you have the opportunity to ask questions if you haven't understood something. What you tend to find is that the materials have been written so that they provide the answers to any questions you may have already in the materials and the answer goes beyond whether it's correct or incorrect. It normally has an explanation of why it's right or wrong. As a non-native speaker you may find that it's an extra challenge to study in English. You are expected to submit assignments in good academic English and you may need a little bit of extra support with that. A really good idea is to try shorter courses. There are institutions that offer lots of free learning materials as samplers of their courses. Studying at a distance doesn't necessarily mean that you have to do more work because you're on your own. It just means that you have to be more committed, and you have to be motivated to make sure you see this through. Let's recap the #7 things we've learned about choosing distance learning. Distance learning normally happens in people's homes – at a time that's convenient to them, using a variety of sources: websites, books and more! Anyone can be a distance learner! Distance learning courses vary in length: they can be short or very long. Distance learning materials often provide guidance to help you study. Non-native speakers can do distance learning in English - with a little bit of support! It's a good idea to try a short course first to see if you like distance learning. Distance learning isn't harder than regular study – you just need to be motivated! 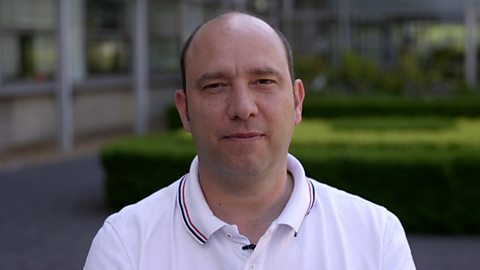 You can find out more about Fernando and get more tips about studying by distance learning by visiting our partner The Open University. Click below to find out more.